A sensory overload sets in while taking in the sights cruising along Rio de Janeiro’s stunning coastline. 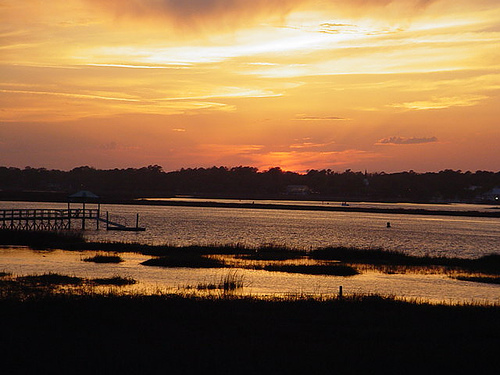 Skin glistens in the warmth of the sun, while hair blows freely in the breeze, all scents and sounds are magnified. No, you’re not cruising along the beach in a convertible; you’re coasting high up above it in a hang glider! Hang gliding can be done just about anywhere in the world where there is a steep enough slope relatively free from obstructions that also faces the wind. There are also special apparatus that allow gliders to be launched in the absence of a steep slope. 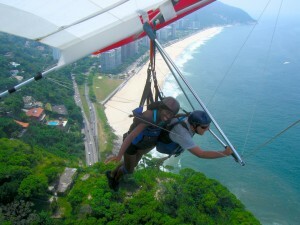 One of the most popular places for hang gliding is Rio de Janeiro, Brazil. So it is no surprise that there are a number of companies operating within close proximity to one another. Asa Delta (www.jpvoo.com) is one such tour operator, and the one that guided me on my first flight. Their pilots are insured, adhere to strict safety regulations, and are certified by the Brazilian Hang Gliding Association. Upon landing, the guides sometimes offer customers a taste of local flavor with Açai drinks on Pepino beach. No prior experience is necessary for a tandem introductory flight. Most anyone can do it, with the exception of persons with serious medical conditions, those who are pregnant, or weigh over 210 pounds. Participants are advised to bring sunscreen, wear tennis shoes, and comfortable clothing. 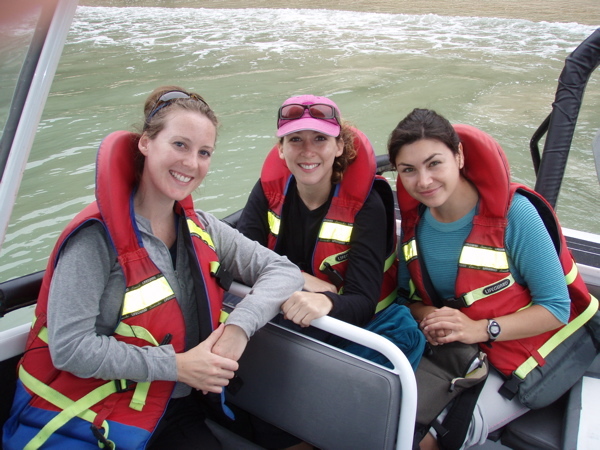 Although the cost varies by instructor, it is usually about $100 in most places. The price typically includes equipment rental, guide, and transportation. It is advised to book in advance, and confirm the flight time beforehand, since bookings may be delayed or cancelled due to sudden changes in weather. Many companies offer packages that include tours to other popular sights like the Botanical Gardens, Sugarloaf Mountain, and more. For those staying within the main areas of Ipanema, and Copacabana, a roundtrip ride from one’s hotel to Pedra Bonita’s take off ramp 1700 feet above ground can be arranged. Participants learn everything they need to know just a few minutes prior to take off. The guide secures the harness while explaining operational instructions and safety procedures. The flight lasts about 20 minutes, depending on the participants weight and the wind conditions. The rider is positioned beside the guide, while they are both connected to the glider by hang straps. As they run synchronically down the ramp to the edge of the cliff, the glider may drop a few feet until air lifts the wings, to freely coast with the wind. While soaring with the birds thousands of feet in the air, participants will behold spectacular views of coastal islands, Christ the Redeemer statue, Tijuca National Park and one of the world’s biggest slums, Rochina favela (which stands in stark contrast to Rio’s surrounding affluent areas). 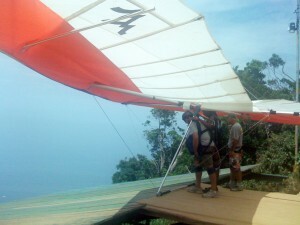 he glider, all that the participant has to do is relax, and enjoy the experience and breathtaking sights. There is no better way to see a city than with this birds eye view. a glider thousands of feet above the ground, there is still plenty of fun and adventure to be had in this tropical metropolis. You can take a scenic ride through the National Park; explore the city, forest, beaches and everything else that this paradise has to offer. Ahh! I know this place. Totally chickened out last time I was in Rio! Actually I have been to France several times, and usually stay at home with various local friends. However I haven’t really heard of it as a prime hang gliding spot. Perhaps I’ll check it out if it gets warm enough the next time I’m there. Thanks for the suggestion! Oh no! Well I’m sure that you’ll have another opportunity to try it some other time. I am too much of a, well, coward to get in a true hang glider but one the favorite Pompano Beach Activities has got to be where they pull you on a modified glider behind a boat – the best of both worlds, an illusion of flight, but unless you’re going to Jurassic Island a pretty safe way to do it! I love that – the real thing must be super intense. Hello. I’m Nikolai. I would like to publish a guest post (with one link) on your great blog – lostgirlsworld.com. Well you never know, you might enjoy it Stan! Yes I’ve also tried parasailing (gliding behind the boat), and it’s quite nice as well. Enjoy the beach and thanks for your comment! Although Lost Girls is not currently posting new content to the site, normally you would need to contact the editors directly for this.